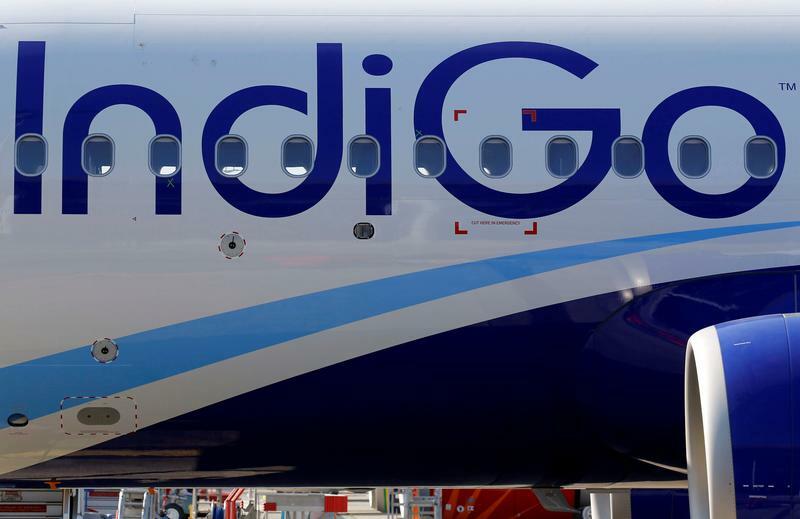 Shares in InterGlobe Aviation, which owns IndiGo, fell sharply after first-quarter earnings plunged 97 pct. A fare war at home is to blame, as are rising fuel prices. But rivals are suffering too, and high costs will encourage the carrier to pause a planned long-haul splurge. InterGlobe Aviation said on July 30 that its profit after tax for the first quarter to the end of June fell 97 percent to 278 million rupees ($4 million), its lowest in three years. Fuel costs rose 54 percent. Other costs, including maintenance, rose by almost a third. Revenue per available seat kilometer (RASK) fell just over 3 percent to 3.7 rupees, while passenger yields, which gauge the average fare paid per kilometer, fell 5.4 percent. Shares in the group were down over 8 percent at just under 922 rupees at around 0700 GMT on July 31.